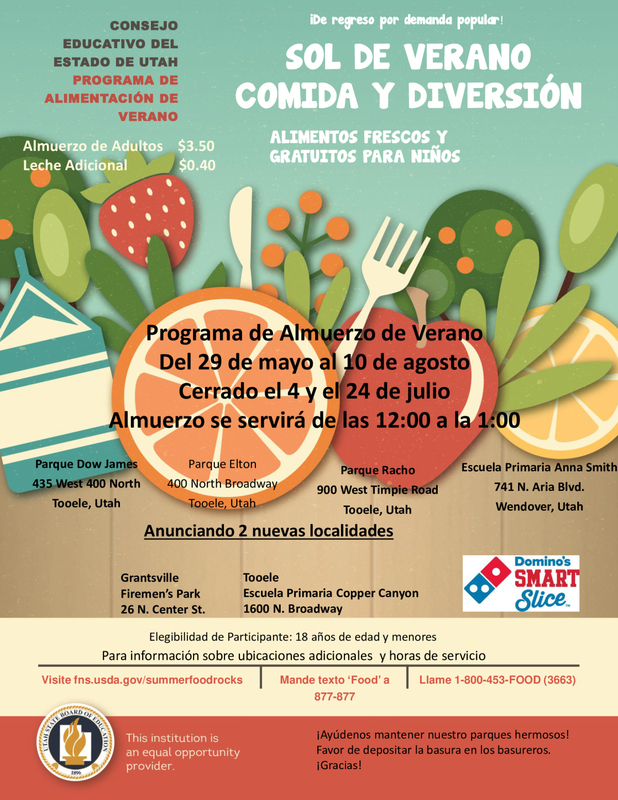 The purpose of this program is to ensure children receive nutritious meals at no cost. Children 18 years old and under eat FREE. 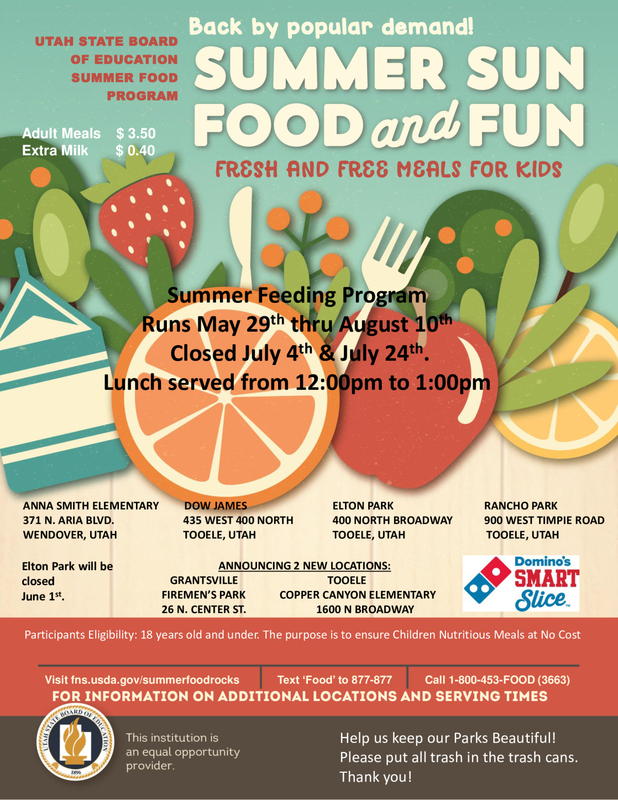 There are 4 locations in Tooele City where lunch will be served Monday – Friday* from 12:00 noon – 1:00 p.m.
*Exceptions: Lunch will not be provided on July 4 or July 24 at any of the locations.